Albert Whitman & Company, 9780807506851, 144pp. In this all-new very special miniseries, the Aldens have been recruited by a secret society to return lost artifacts and treasures to their rightful locations—all around the world! The Aldens follow a clue to Beijing, China, where they uncover their next mission—to return a mysterious clay artifact to its rightful owner. Their journey leads them to a scenic section of the Great Wall, but a thief threatens to ruin their trip and endanger their precious cargo. 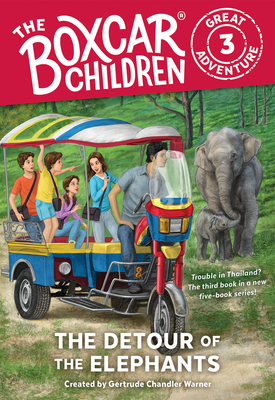 The Aldens' next clue brings them to an elephant reserve in Thailand, but when their contact acts suspiciously, they worry someone close to them may be working for the other side. Who can the Aldens trust to help them return the remaining artifacts to their rightful owners?